Just got dumped? here's therapist Susan Elliott's advice: Go no contact. Don't stay friends. Stop worrying about what he's doing, because it no longer matters. But in the days, weeks, and months after a relationship ends, this might not feel so simple to someone searching for answers to the big question: What Happened? 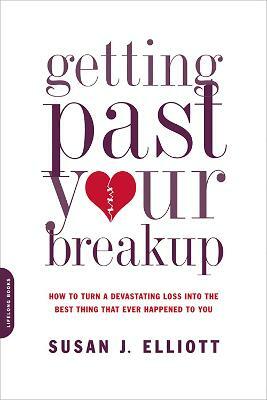 Getting Past Your Breakup is a proven roadmap for anyone working through the painful end of a relationship, whether it is an on-off romance or a divorce with kids involved. With personal anecdotes from Elliott's online community, concrete exercises to jump-start the moving-on process, and Elliott's signature mantras, Getting Past Your Breakup is a highly effective plan for permanently recovering from a breakup, regaining your confidence, and opening yourself to true love.